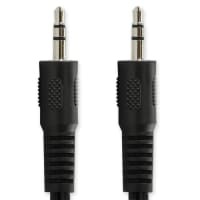 Premium Headset Y Adapter 2 Jacks to 1 only 2,95€. 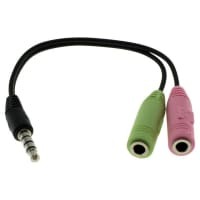 Use this subtel audio adapter cable to connect a device with an integrated microphone, such as a our PC headset to devices that play music such as your smartphone with a 3.5mm jack connection. Suitable for all smartphones / tablets, MP3 players and multimedia devices with 3.5mm jack connection.